2TTEE tha Tomtom and Owo yobo crooner, his real name Oladeji Taiwo ‎Olusola, was born and raised in Ibadan city,‎but now resides in Lagos. He is a rapper and a vocalist, a graduate of UNILAG 2015/16 . He met KCEE (@iam_kcee) ‎in early 2011 at the age of 17 through star quest, who supported him to an extent into the music industry. In 2012, as a rapper, he was among the 32 finalist of "I've got talent" , a reality tv show by popular Nkiru Sylvanus ( @nkirusylvanus) which was aired nation wide for a 7million naira prize. 2TTEE released his first video to his song "TOMTOM", in early 2014 under Telepse Music Management. He is fondly called Rhymes star, blessed with Hip_Hop and lyrics that make you clap again. 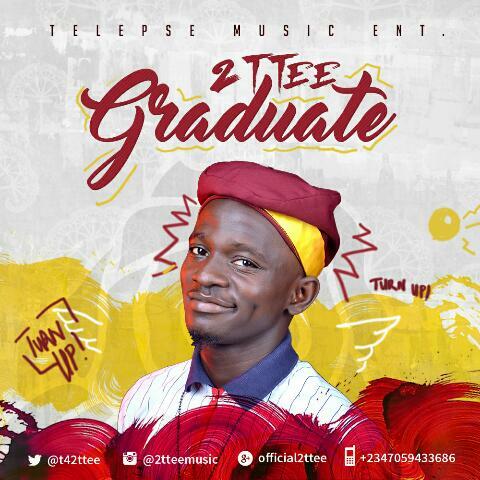 Here is a latest song from @2tteemusic titled Graduate.